Edmund Woolley was most likely born in England around 1695, and record of him in Philadelphia exists as early as 1705. He was an early member of The Carpenters’ Company. Woolley was the designer of the Whitefield meeting house which, in 1751, became Penn’s first campus. 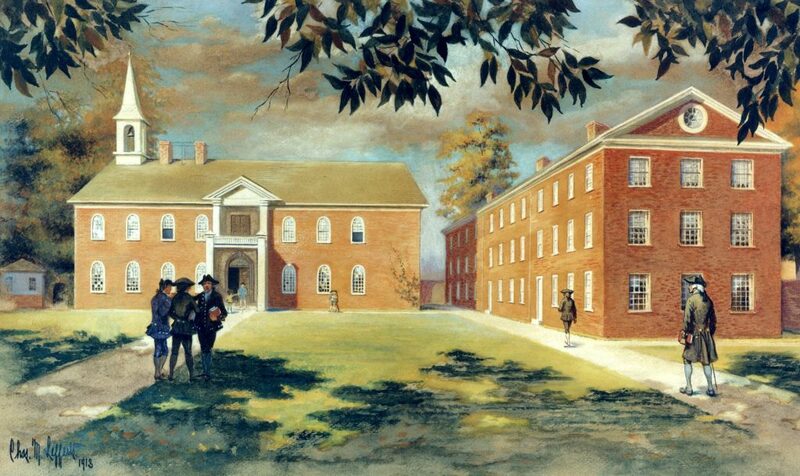 Here were held the first classes of the Academy of Philadelphia in 1751 and the College of Philadelphia in 1755. Woolley is also credited with designing and building Hope Lodge for Samuel Morris, but his most famous building was the Pennsylvania State House (later Independence Hall).